Argentina is a unique blend of exciting and intriguing elements. This country dominates the southern portion of South America. It is 2,268 miles long and 1,430 miles at its greatest width. It’s largest city is Buenos Aires (“good air”), which is a very sophisticated city, with great hotels, restaurants, night life and is a mix of many, many cultures. Argentina is also the gateway forAntarctic Cruises. Argentina has the Andes Mountains,Tierra Del Fuego, beautiful beaches (e.g. Mar Del Plata), rain forests and some vibrant cities. Argentina has an amazing diversity of wildlife; from crocodiles and jaguars to penguins and sea lions. Brazil is an amazing destination with many wonderful and distinct attractions. From the incredible Rio De Janeiro with its nightlife and famous Mardi Gras (Carnevale), It has the incredible jungle rain forests of the Amazon jungle eco-lodgewhere can stay at an eco-lodge or take an Amazon River Cruise. Either way you can enjoy the diverse animals and birds found there: From the jaguars, pumas, foxes and wolves to the giant anteaters, armadillos, otter, tapir, peccaries, the capybara, etc. There are many types of monkees, including the howler, the capuchin and the squirrel. The rivers have the world’s largest river dolphins, alligators, Black Caiman and piranhas. There are over 1,600 species of birds, including the toucans, flamingos, parrots, etc. etc. Brazil has some of the most famous beaches in the world, such as Ipanema Beach or Copacanbana Beach. It sharesIguassu Falls with Argentina. One of the major world’s Icons is the giant statue of “Christ, the Redeemer” which is on a hill above Rio De Janeiro. Chile is a long, slender country which stretches for 3,000 miles along the west coast of South America (from the southern border of Peru to the closest point to Antarctica). It is nestled in the gigantic Andes Mountain Range. At first look, it would appear to be all coastline and mountains. However, Chile offers a surprising variety of sites and experiences. 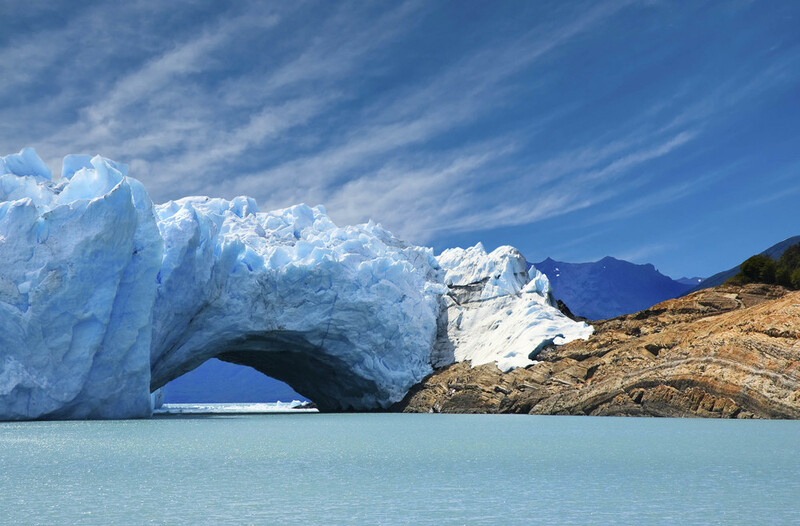 The most famous site is Patagonia, whose lakes, glaciers, ice formations, and majestic beauty combine to make it one of the Natural Wonders of the World! Chile also has many other areas of natural beauty including the Salar de Atacama Salt Flats, the Torres Del Paine National Park, Lake Grey, El Tatio’s geysers and mineral rock formations, beautiful valleys, icebergs, fiords, lakes, and islands (including the unique Easter Island, with its Maoi). There is also a rich and interesting history of the Spanish and the ancient Indian peoples of the area, with ancient ruins and fascinating modern mountain people cultures such as the Aymara Shepherds at Lauca National Park. Chile is also one of the world’s foremost producers of fine wine, with excellent wine valleys such as Colchagua, Maipo, Casa Blanca, and others. Wise entrepreneurs in Chile brought high quality European vines to Chile and started an industry which is now famous for its excellent production. Chile also has excellentskiing. Or, if you wanted to relax at a beautiful beach, you may vacation at Valparaiso, which literally means “Go to Paradise”. Chile has much to offer the world traveler. Colombia is an exciting and rich destination with many excellent sites and experiences to offer. Although it’s sites are not as famous as some of its neighbors, there are many intriguing things to see and do: such as Monterratt, the Gold Museum and the Old Town of Bogotá; the beautiful coastal town of Cartagena, with it’s history and night life and incredible aviary reserve; the Coffee Zones with the coffee plantation tours, abundant agriculture and gorgeous haciendas; the ancient sculptures and statues of San Augustin; the numerous gorgeous colonial towns such as Barichara, Villa de Levya, Salento and Guatape; the historic and beautiful architecture and culture of Medellin; as well as many national parks and beautiful nature and fascinating landscapes such as Tatacoa desert, Caño Cristales and the Amazon river area. When you come to Colombia be prepared to be surprised as how much you enjoy your journey and the variety of experiences. Let us take you there. Costa Rica is the most popular tourist destination in Central America. It has the full Central American experience, offering volcanoes, rain forests, beaches, and eco-tours. If you’re looking for adventure, you can go zip lining, meander through the trees on sky walks and canopy tours, embark on various nature hikes, mangrove boat tours, kayaking adventures and enjoy numerous ecotours. A few of the wonderful sites found in Costa Rica include Poas Volcano National Park, Botos Lagoon, La Paz Waterfall, gardens and Braulio Carrillo National Park. You can also visit Baldi Hot Springs, Arenal Volcano, and Monteverde (the cloud forest which hosts an impressive biodiversity). The bird-watching here is also very rewarding. Not to be overlooked, Costa Rica also has stretches of gorgeous beaches both on the Pacific Ocean and the Caribbean Sea. Ecuador is most famous for its Galapagos Islands. Indeed, we can provide you with cruises for almost any budget level that will allow you to experience the extreme biodiversity that this unique area offers. There are also some beautiful areas off the coast for snorkeling and diving. But mainland Ecuador has many other sites and experiences to offer as well. Quito’scolonial district is quaint and charming, with its cobblestone streets. Other points of interest include La Compania Churchand the San Francisco Square, of which there is a delightful view from Panecillo Hill. Here, in the appropriately named country of Ecuador, is also where you can visit the Equatorial Monument and stand in both northern and southern hemispheres at the same time! 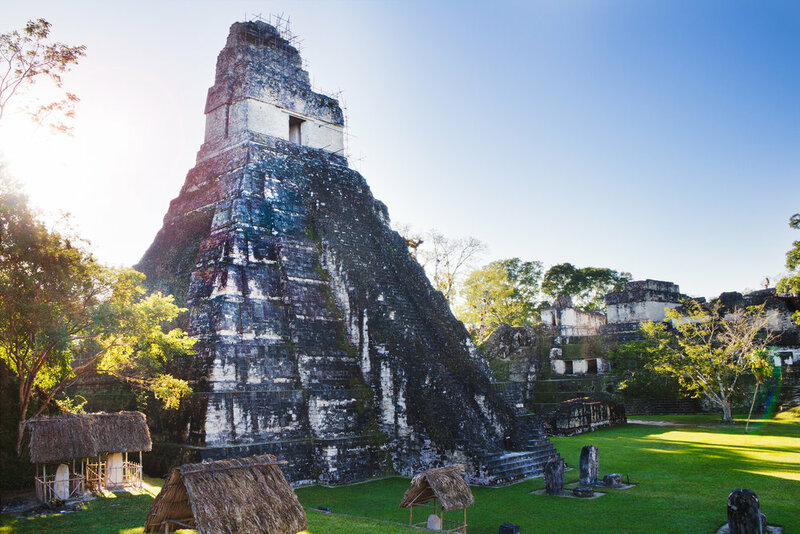 Guatemala is a beautiful country that has many ancient Mayan ruins such as Tikal and Mirador. It also has active volcanoes, lush tropical rain forests, abundant animal and bird life, and gorgeous bodies of water, such as Lake Atitlan. Guatemala City has all the amenities of a larger Central American city with the restaurants, hotels, clubs, discos, etc. But with only a short drive to either Antigua or Chichicastenango, you can seemingly turn back the clock a couple of centuries. The city of Antigua has exceptional charm and historic beauty. Chichicastenango is a town full of tradition, with the biggest market in the region. There are beautiful beaches on the Pacific coast as well as some beautiful, sleepy fishing villages. Whatever you are looking for in Guatemala, we can take you there! Nicaragua is Central America’s best kept secret, complete with active volcanoes, estuaries, tropical rain forests, beautiful beaches, and historic Spanish-style colonial towns as well as modern towns with great restaurants, hotels, bars, clubs, discos and casinos. Nicaragua offers a great variety of experiences, from the beautiful resort area of San Juan del Sur, to the excellent surfing of Rivas and Puerto Sandino. Come experience everything from the culturally rich colonial towns of Granada, explore the estuaries which are filled with crocodiles, monitor lizards and tropical birds, and relax on the beautiful beaches of Poneloya or venture along the country’s chain of volcanoes. You can also enjoy a full line of rainforest activities, like zip lining, kayaking, or taking educational nature walks. The Caribbean coast of Nicaragua also offers incredible beauty and pristine beaches, characterized by the laid-backed Caribbean lifestyle (as witnessed on Corn Island and Little Corn Island. Peru is an amazing country, which has a charm and elegance that surprises most visitors. The Incas were a noble and regal group whose stone masonry, agriculture, and general cultural development were highly advanced. The stone work on theIncan temples, fortresses, and cities are amazing to behold. Impressively, Lima, Peru was the capital of the Spanish South American colonization for almost 300 years. As a result, it has a myriad of glorious Spanish architecture apparent in its palaces, cathedrals, plazas and governmental buildings. Machu Picchu, the ancient mountaintop city, is one of theWonders of the World. Additionally, Cusco, Sacsayhuaman, and the Sacred Valley all offer many vivid reminders of the Incan mastery of stone; in fact, so much so that the Spanish often built their buildings on the Incan foundations. Even to this day, many villages including Cusco feature streets that were made by the Incans. But there are many other reasons to visit Peru. Lima has a rich history and many fascinating museums. You can take a cruise on the Amazon Headwaters in what looks like a luxury version of Humphrey Bogart’s, African Queen. During the cruise, you have opportunities to go swimming and fish for piranhas (but be careful not to combine the two events!) The Amazon Valley has quality Eco-Lodges where you can commune with nature. You can fly over the Nazca Lines, giant etchings in the desert that can only be fully grasped from the air (perhaps carved for the gods to see). 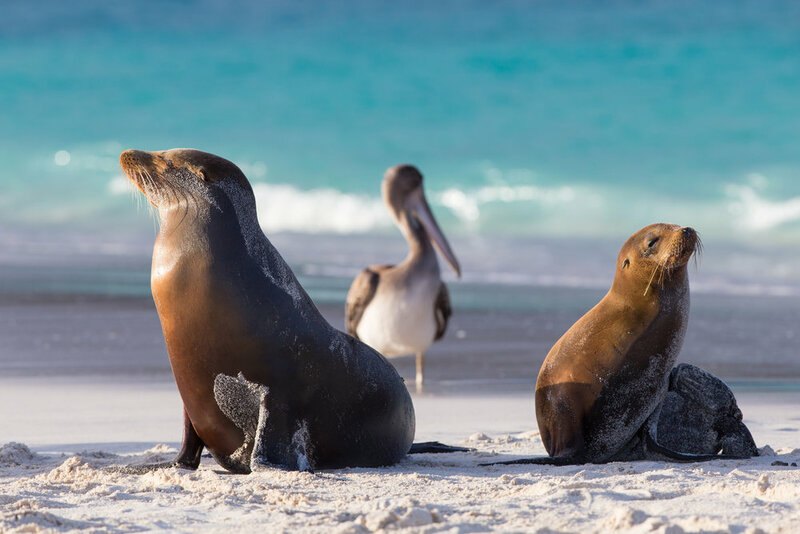 The Islas Ballestas are a small set of islands that are so full of sea lions, birds, and other creatures that it has been called the “Little Galapagos.” You can also visit Lake Titicaca, which is the highest elevation fresh water lake in the world. It has very unusual floating islands, made of reeds that literally float on the top of the lake, but are strong enough that people live on them. There is much, much more. Come to Peru and experience this amazing wonderland.